When paired with a SDI optical transmitter (e.g. 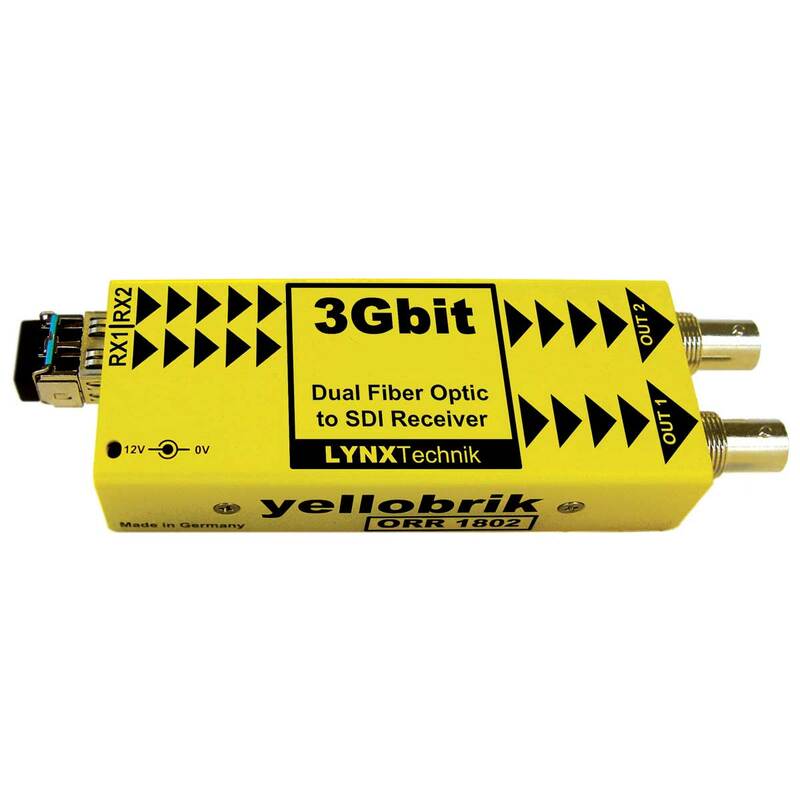 yellobrik OTT 1812, OTX 1812, OTX 1842 etc) you have a very cost effective optical transmission / receiver system for signals up to 1080p60 (3Gbit/s), while preserving full uncompressed quality. The ORR1802 has two completely independent channels and each will auto-detect and re-clock any 270Mbit / 1.48Gbit and 2.97Gbit SDI fiber source prior to electrical conversion. The module is fully compatible with 3Gbit Level A and Level B formats.